Stoke Newington has Church Street, with numerous cafes, organic stores, independent shops and all the trendy stuff, and the traffic-laden High Street, part of the old Roman Ermine Street running due north from London Bridge, which morphs culturally through Shoreditch, Dalston, Stoke Newington and Stamford Hill, but with an essentially edgier feel. Church Street and High Street: one would be pretty much unbearable without the other. The High Street has a good line of Turkish restaurants and cafes, too, one of which I drew this from. Dear old Gilbert and George can occasionally be spotted eating in one of the restaurants down the road. That's definitely one for the I-Spy book of Contemporary Artists. 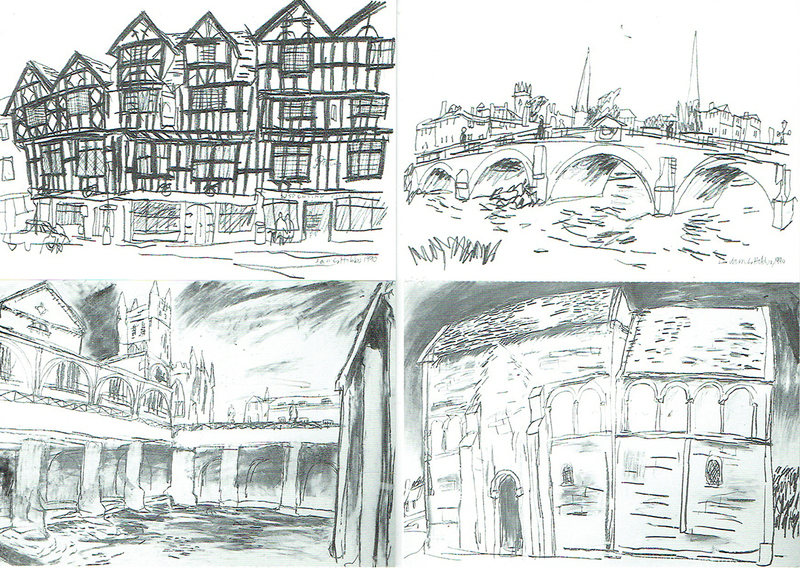 The London Urban Sketchers blog has gone live: Katherine Tyrrell is first up, followed by me, with more London-based artists blogging over the coming days and weeks. The blog is the latest regional offshoot of the international Urban Sketchers - you can find the main website here.